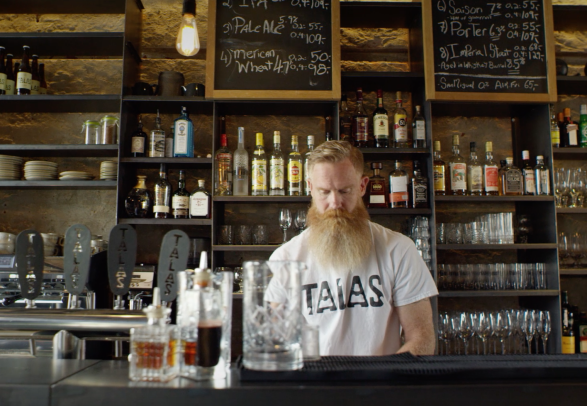 Get inspired by the food film series below called Table tales, where some of Norway’s top chefs showcase their regions and their food philosophy. and the nearby sea, the fusion of old traditions and new techniques, Nordic ambience and a warm welcome. and the nearby sea, the fusion of old traditions and new techniques, Nordic ambiance and a warm welcome. They love to mingle with their guests and pride themselves in being hands-on with everything from the origins of the ingredients to creating an independent venue with a unique look and feel. and every season bring a different experience. 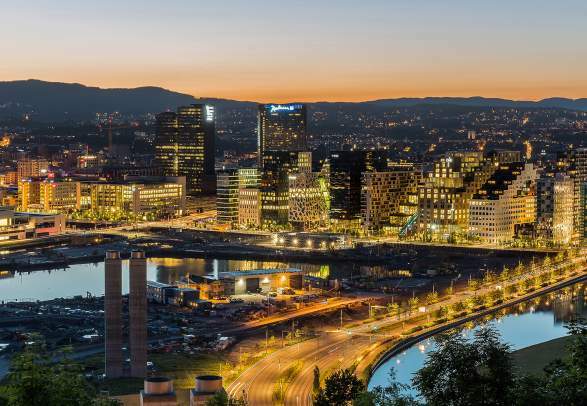 Off the beaten track, with easy reach from Oslo airport, there are also several towns and villages surrounding Oslo. This area is known as the Oslo region. Here the pace is gentle, the surroundings are beautiful and local history and culture plentiful. Alternatively, combine a trip to Oslo with a visit to one or two of the regional towns. Regardless of your choice, remember to book your table in advance, as these places are very popular. You will find a map further down this page with links to the restaurants&apos; booking pages. The collection of Table tales films gives a good glimpse into a growing trend of chefs making the most out of their local gold. Behind the scenes at the restaurants that have helped Norway’s large cities to become culinary destinations. Esben Holmboe Bang is the chef at Maaemo. The Dane fell in love with a Norwegian girl, moved to Oslo, and then fell in love with the city, too. Now, he runs Oslo’s only restaurant with three Michelin stars. In 2013, Christopher Haatuft left New York to start Lysverket restaurant in Bergen. He enjoys the city’s closeness to nature and the fact that every type of ingredients can be found right on his doorstep. Let Christopher guide you to the highlights of Bergen. Life is quite extraordinary in the Arctic, and so is the food. Much thanks to chefs like Eva-Linda and Espen at Restaurant Smak in Tromsø. Using old techniques and traditions to prepare Arctic ingredients, the couple orchestrates culinary symphonies. Serving up more than delicious food, colourful Trondheim is full of sights to discover. Top chef Renee Fagerhøi takes you on a culinary tour through Trondheim and gives you some ideas for a short break in this vibrant city. The Michelin-starred chef Sven Erik Renaa has made it his life’s work to serve Stavanger on a plate. We joined him on a culinary tour through the city, which is packed with both urban adventures and a broad selection of restaurants. Runar Eggesvik, a local entrepreneur from Oslo, has spent several years creating social hangouts in his city. Making great places for people to meet has been his passion in life, and he believes that it is the local hangouts, bars, cafes, venues and restaurants that define a city. A short trip from Oslo is all it takes to explore many other great places to eat. Jeremy Metzger chose Hamar over Hawaii to brew his beer. That says a lot about this city. Follow Jeremy to his favourite spots in the Hamar region, which is just a short train ride away from the capital of Oslo. Bocuse d'Or winning chef Geir Skeie shares his philosophy on cooking whilst taking us on a trip to some of his local suppliers. Take part in Geir’s everyday life as he gets fresh fish from the local fish market and samples apple juice from local farms. It was love at first sight when Ingeborg Nygaard travelled to Fredrikstad. Now, she’s a chef at Restaurant Slippen, one of the city’s most talked about eateries. Join Ingeborg as she gathers produce and products for her restaurants from local suppliers. Father and son Fredrik and Bjørn are chefs at Lysaker gjestgiveri and use locally produced ingredients to create their food. The Olympic city of Lillehammer provides not only food experiences, but lots of outdoor activities as well. Olav Lie-Nilsen explores the farming and local food production of the Hadeland region, an area that has produced food for a thousand years. Today, these ancient traditions are keeping local restaurants stocked with the very best of local food products. A tavern on an island in the inner Oslofjord is where Ann Sung-An Lee ended up when London and Tokyo couldn’t make her stay. Let Ann guide you from Oslo’s fjord and food to city and drinks, all within a short distance of each other. With a passion for food, drinks, and people, Helene Jahren serves an unforgettable experience on a plate at her restaurant Gamle Tårnhuset. Get the highlights of the Akershus region, which involves not only food, but a bit of spa and wellness, beach life, and golfing as well. Visit the chefs' restaurants in the cities they love. A feast of flavours awaits in Norway’s restaurants. Filter your search and check out the offers below.